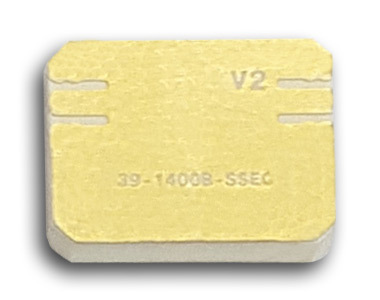 Based on a strong engineering background in design and manufacturing, Sangshin is able to offer innovative filters in the 20GHz to 40 GHz frequency range that meet the needs of a wide range of customers. Sangshin has a strong manufacturing capability with various reliability test equipment and global standard qualifications to meet customer needs with short lead times and competitive prices. Insertion Loss in BW @ 25°C 4.5 dB max. Insertion Loss in BW [+25°C] 6.0 dB max. Ripple in BW @ 25°C 0.8 dB max. Ripple in BW @ 25°C 1.2 dB max. Return Loss in BW 12 dB min. Return Loss in BW 12 dB min. Insertion Loss in BW @ 25°C 4.0 dB max. Insertion Loss in BW [+25°C] 4.0 dB max. Ripple in BW @ 25°C 0.5 dB max. Ripple in BW @ 25°C 0.8 dB max. Return Loss in BW 12 dB min. Return Loss in BW 10 dB min.